Despite the efforts made over the last 20 years, research suggests that there remains an important potential to reduce energy consumption in energy intensive industry by 15-25%. The same research indicates that energy management and behavioral changes can achieve up to half of this remaining energy efficiency potential. At the same time, energy management systems have in some cases failed to produce the systematic energy performance improvements that should be observed. Why is that so? In our work we have identified a company’s “Energy Culture” as a key factor in this regard. In many case, the failure to capitalize on the full energy efficiency potential can be linked to a poor Energy Culture. Improving this vital aspect of a company’s operation requires serious commitment from senior management since it involves the entire organization and it takes time. On the positive side, it usually requires limited capital expenditure and the potential energy saving ranges between 5-20%. This paper describes the methodology that we have developed to evaluate and improve an organization’s Energy Culture. When asked, “What is culture?” many answers that it is what people think. Our definition of Energy Culture is the shared mindset that creates and sustains an environment conducive to continual improvement of the energy performance of an organization. As such, it comprises people, systems, structure, skills and strategy. The developed methodology is based on a long history of work on “Safety Culture”, successful energy optimization project implementations in industry, continuous improvement methodologies as well as methodologies for leading change. The continuous improvement philosophy serves as basis for the approach and the different phases of a project. During the diagnostic phase, the organization’s Energy Culture is evaluated according to eight different dimensions: Visibility, Accountability, Collaboration, Targeting, Commitment, Motivation, Learning and Progress. This stage of the assessment usually includes surveys, interviews, workshops, observations and operational data analysis. Each of these tools provides a different type of information on the Energy Culture of the organization. For example, surveys typically bring knowledge about people’s perception of how things are done, while operational data analysis provides information about behavioral impact on process performance. It is also through data analysis that you can identify the impact behavioral change can have on the energy performance. Once the assessment has been completed, the result is presented in the form of a spider diagram as seen in Figure 2. Depending on an organization’s maturity level, its ambition, commitment and budget, a target is set for the next 12 to 24 months. In most cases, two target levels are used; one that can be attained relatively easily and one that is more ambitious. Experience shows that this second target often acts as a strong motivator. In each of the eight dimensions, the organization’s performance is expressed as a maturity level. Table 1 contains some examples of the typical conditions to which the different levels correspond. In many cases these conditions cover multiple dimensions. This is also true for the actions that are implemented to improve a specific dimension. In other words, most improvement actions will have an impact on multiple dimensions. 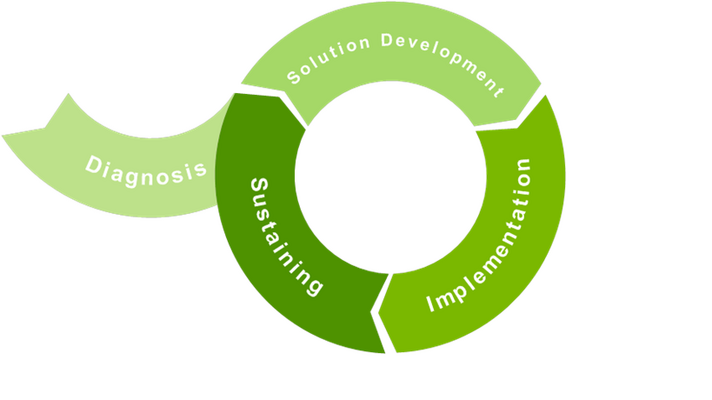 In the solution development phase of the project, an action plan is developed to improve the different dimensions. To allow for the necessary momentum to be created and to avoid projects to run over too long a time period, action plans are divided into six months increments. In addition to efforts aimed at improving the maturity levels of the dimensions, the action plans also comprise activities related to the change process itself. As mentioned before, behavioral and cultural change takes time and commitment. Hence, a set of integrated actions is required such as setting up a task force, creating a vision for the change, proper communication, removing barriers for change and creating quick-wins to motivate people. Clearly, the fact that action plans typically run for 12-24 months does not imply that the change in the Energy Culture of an organization can be realized in this timeframe. Experience shows that in most cases, a much longer period is needed. Once an agreed action plan has been established, the organization initiates its implementation. Some opt to do this by their own means, but most of them seek support of external and specialized experts. Essential is to regularly measure progress during this phase. The quantitative evaluation consists of the energy performance itself, which can be compared to a baseline developed during or prior to the diagnostic phase. In addition, a qualitative evaluation comprising surveys, observations and interviews, is recommended. Based on the feedback from these evaluations, the approach can be fine-tuned and streamlined along the way. Finally, upon completion of the implementation phase, a final evaluation is made and a new plan is developed to continue the change and to secure the results achieved thus far. This moves the organization into the sustaining phase of the project. In many organizations, a far-reaching change in its Energy Culture is needed to fully unlock the remaining energy efficiency improvement potential. Experience from recent projects shows savings ranging from 5% to 20% with no or small capital investment. The main success criteria for effectively improving the Energy Culture of an organization are the commitment, buy-in, support and perseverance of the senior management. 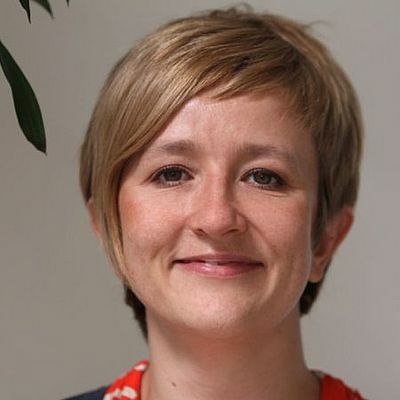 Ulrika Wising is a Swedish energy efficiency consultant currently working as a Principal Consultant with DNV-GL Energy. She has a PhD in Chemical engineering specialized in Energy Efficiency in industry and this has been the focus of her career. She has previously worked for PEPITe s.a and Belsim s.a., both in energy intensive industries. She is passionate about people and thinks that if people are given the right resources, information and tools, they will naturally take the right energy decision.